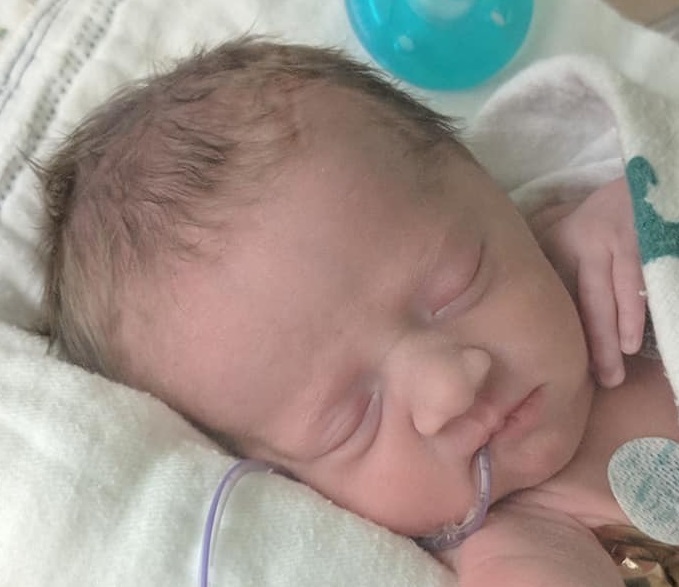 Winter Everleigh Tripp, infant of five days, was welcomed into Heaven on April 2, 2019 when she passed away at Toledo Children’s Hospital. Winter was born on March 28, 2019 to Hannah Y. Jackman and Tyler N. Tripp of Swanton. Left to cherish her memory are grandparents, Charlette (Kent) Jackman of Toledo, Dawn (Dena) Smith of Florida and Harold (Judy) Tripp of Oregon, OH; great grandparents, Elgin (Donelda) Smith of Delta, Viann (Jim) Jacobs of Toledo, Gary (Rachel) Weber of Florida and Mary Pierce of Delta; along with many loving aunts, uncles, nephews and nieces. Visitation with the family will be held on Monday, April 8, 2019 from 10:00 AM – 12 Noon at Barnes Funeral Chapel, 5825 St Hwy 109 in Delta; where a funeral service for Winter will begin at 12:00 Noon on Monday. Reverend Melissa Micham will be officiating. Interment will follow at Greenlawn Cemetery in Delta. Those wishing a show of sympathy are asked to consider contributions to the family, c/o Hannah Jackman. Please visit our website at www.barnesfuneralchapel.com to send condolences to Winter’s family.